Two people have passed away after they enjoyed an amala delicacy in one of the local government areas in the South-western state. Two persons died in Ibokun, Obokun Local Government area of Osun State and four others hospitalized after eating yam flour popularly known as Amala with stew on Friday, Daily Trust reports. Catalonia appears to be "walking alone" in its contentious declaration of independence as several countries have joined the United States of America in backing Spain. The United Kingdom said it “does not and will not” recognise the unilateral declaration of independence by the Catalan regional parliament on Friday. This was stated on Friday by a spokeswoman for Prime Minister, Theresa May. The President Muhammadu Buhari-led administration has moved to consolidate its achievement in the power sector and end the electricity woes in the country. 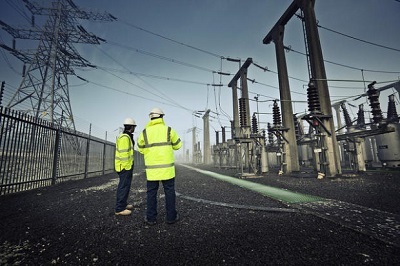 The Federal Government said on Friday that its plan to generate 20,000 megawatts of electricity over the next four years was on course. The Minister of State for Power, Alhaji Mustapha Shehuri, gave the assurance in Funtua, Katsina State when he inaugurated a 132/33 KV transformer that would boost power supply to local governments in Katsina South by 200 percent. The Assistant Comptroller General (ACG) zone E, Alloy Uchenwa has spoken on the fate of children who were born while their mothers serve prison terms. Speaking at the Abia State headquarters Umuahia, after a meeting with the officers of the command, Uchenwa noted that the law is silent on the issue of babies born in the prisons who automatically become members of the community even without committing any crime. Tzy Panchak sells out 1st Show in the DMV - US !!! Tzy Panchak proves once again ,he is a force to be reckoned with not only in his native country,Cameroon, but in the diaspora,as he hosted a sold out show in the USA. The Cameroonian superstar who is currently on tour in the US sold out his first show of the tour which took place in Maryland (DMV). Cameroonians thronged out in their numbers from far and wide to support him. 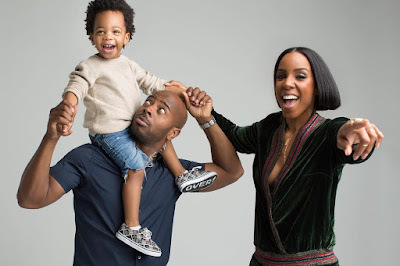 Kelly Rowland,her husband and son are all shades of cute for Essence magazine ..
President Muhammadu Buhari has apologised to the leadership of the National Assembly over the cancellation of the planned dinner for the lawmakers in the State House. 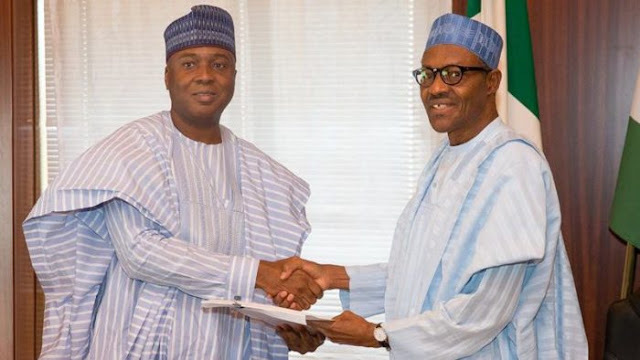 The News Agency of Nigeria (NAN) reports that the President was to host the lawmakers to dinner at the new Banquet Hall of the State House, Abuja, by 8:30p.m. on Thursday. Prince Harry reportedly set his sights on girlfriend Meghan Markle long before they were introduced by a mutual friend last summer. The smitten royal, 33, is believed to have first spotted the US actress, 36, in legal drama Suits two years before meeting. 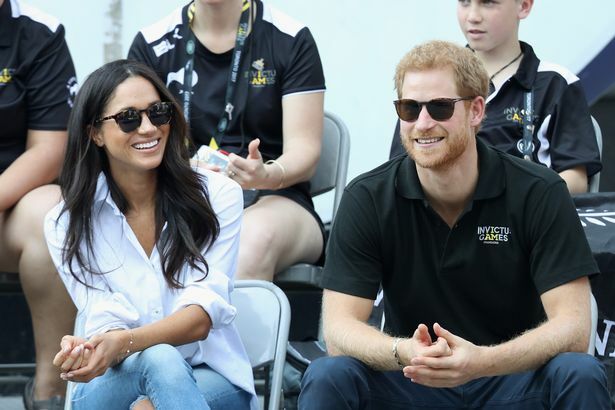 In a new documentary titled When Harry Met Meghan: A Royal Romance, royal expert Katie Nicholl reveals Harry described Meghan to a pal as his "ideal girl". 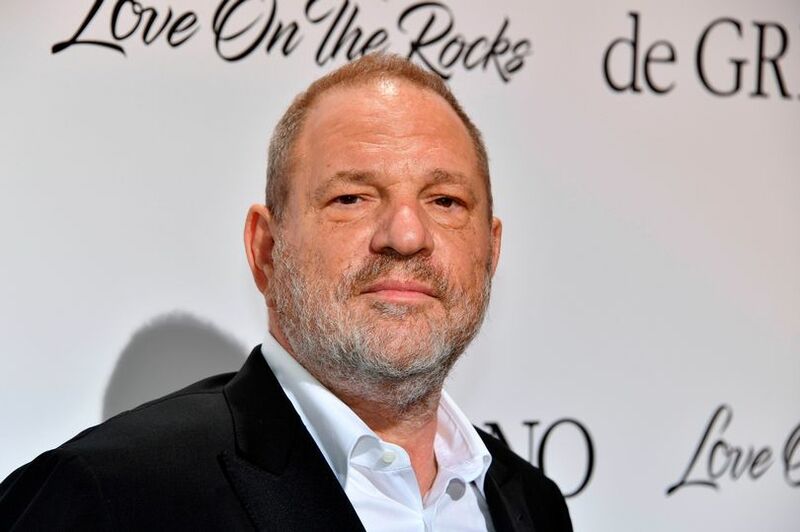 Harvey Weinstein has sued the Weinstein Company. The disgraced movie mogul, who was founder and former co-chairman, wants access to his emails and other company records that could help defend himself against sexual assault allegations, and also help defend the company against potential liability. 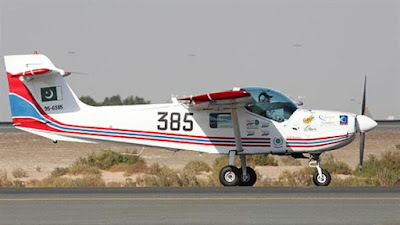 Nigerian Air Force (NAF) says it has returned four Super Mushshak aircraft loaned to it by Pakistan Government. Air Commodore Olatokunbo Adesanya, the Director of Public Relations and Information, NAF Headquarters, disclosed this in a statement on Thursday in Abuja. 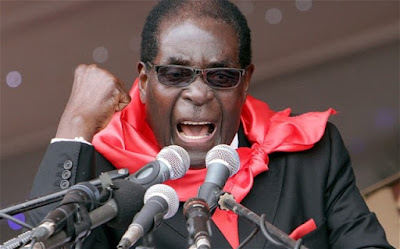 President Robert Mugabe has banned the west-funded Non-Governmental Organisations (NGOs) from observing the 2018 elections. This is not the first time that the country has barred Western organisations from observing elections, accusing them of harbouring sinister intentions to promote regime change. 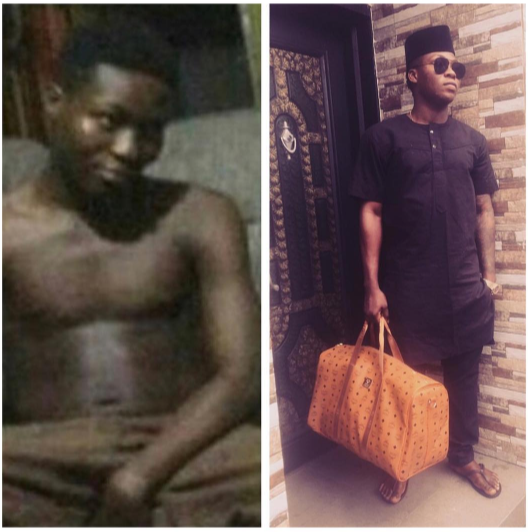 Mavin record label shared this before and after photo of music star and signee, Reekado Banks . He has sure come a long way ..
High Chief Raymond Dokpesi is 66 years old. To celebrate hm, his friends and associates gathered at his Hiltop Residence to celebrate his birthday. The leader of the league of friends, Sen. Yisa Braimoh said "today we have been blessed to witness this very special day to celebrate his 66th birthday". Joshua Tabiti, 31, has told operatives of the Zonal Intervention Squad, (ZIS) Onikan, Lagos State, that he couldn’t stop stealing and robbery, even if his life depended on it. He said that he had been stealing right from his childhood. Three other members of the gang, arrested along with him are Oluseye Arokoyo (34), Ahmed Alli (24) and Moses Ofoke (31), receiver of the stolen vehicles. Controversial Cool FM OAP, Daddy Freeze has replied Soul Singer, Timi Dakolo who slammed him over his reply on his marriage and divorce post. 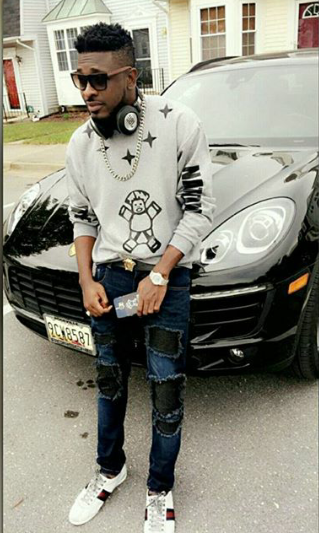 Controversial Nigerian singer, Mr Eazi who was nominated alongside Humblesmith, Ycee, and Aramide in the Next Rated category of Headies Award which he eventually won, has been given the car gift that comes with the award. The car was handed over to him by the organizers of the award today. Nollywood actor, Prince Eke who was caught in a bitter marital crisis with singer and ex-wife Muma Gee, with both parties accusing each other of infidelity, replied a fan who asked if he has reconciled with the singer. Nollywood actor, Charles Okocha a.k.a Igwe Tupac has taken to Instagram to show off his new Lexus SUV worth N7million. Last week, we reported that Ifunaya Igwe and her husband, Mike Ukpabia are expecting baby number 2. Well, the actress has shared this stunning baby bump photo to announce the good news. Some 300 Level students of the Bowen University, Iwo, Osun State, have been thrown out of their hostel, for fighting with some IJMB students. According to reports, trouble started, last night, after an IJMB student accused a 300 Level student of splashing water on her while having her bath. The victim later went to mobilize her friends and there was a shouting match, with the 300 Level students being called prostitutes. In a statement released by Director of Public Relations and Information, NAF Headquarters, Air Commodore Olatokunbo Adesanya on Wednesday in Abuja, human Intelligence claim that Boko Haram’s leader, Abubakar Shekau’s wife Malama Fitdasi Shekau, appeared to have been killed in recent successful airstrikes on Durwawa settlement on the outskirts of Urga, near Konduga. 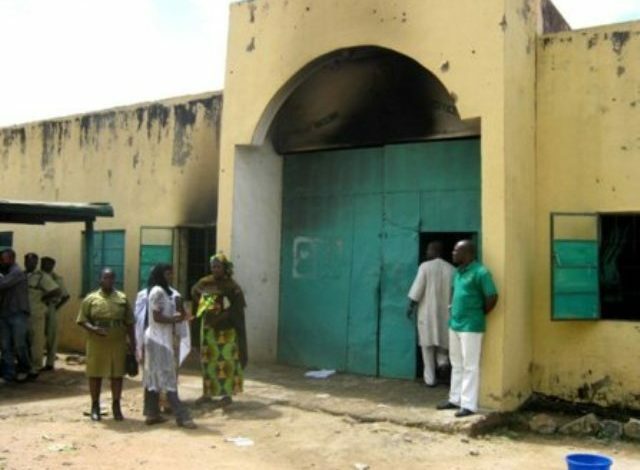 In a dialogue session with the Nigeria Civil Society Situation Room Dialogue – a coalition of over 70 civil society organisations in Nigeria, the Independent National Electoral Commission (INEC) on Tuesday announced that it is making arrangements with prison authorities to ensure that prison inmates exercise their franchise in the 2019 general elections. Bauchi South APC zonal woman leader, Hajia Zainab Baba Kande died in a ghastly motor accident Tuesday afternoon, along Bauchi-Dass road. She was buried Tuesday evening according to Islamic rites. In attendance were Alh. Uba Ahmad Nana, Chairman APC Bauchi State, Alh. Murtala Ibrahim ( Dan Malikin Boto ) Zonal Chairman APC Bauchi South, among others. St Lucian Princess, another curvy Instagram model is in Nigeria wearing bikinis that bares it all, hosting parties and moving between Lagos to Abuja. According to online reports, there was a clash between two rival cult groups, Eiye and Aye, last night at Osiketa area, Satellite road, Ado Ekiti. A student was reportedly killed at the Aye base and pandemonium broke at the Ekiti State University following the clash. Operatives of the Economic and Financial Crimes Commission (EFCC) yesterday sealed-off a palatial mansion owned by the embattled former chairman of now defunct Presidential Task Force on Pension Reforms, Mr. Abdulrasheed Maina. The property, located at No. 10 Amisi Musa Street within the Jabi Lake area, had “EFCC keep off” inscriptions on the extended fence, as at the time Dambazau visited. 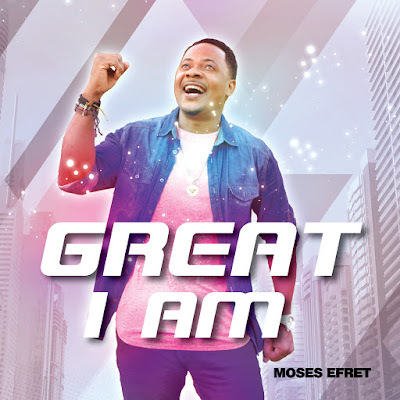 Nollywood Actor/Gospel Recording Artist Moses Efret Releases His New Gospel Single Titled "Great I Am"
How did your journey into entertainment begin? I thought I was going to be a very big singer but here we are today, I’m an actor. I used to sing R & B back in the days. According to a Facebook user, residents of Kwara State, mostly women and all wearing Aso Ebi were allegedly locked out and denied entry to their former governor and senate president, Bukola Saraki’s daughter’s wedding. Dele Ogundele, a worker with the Eko Electricity Distribution Company, has been hospitalised after he was allegedly brutalised by a police sergeant attached to a house reportedly owned by a former Inspector-General of Police, Mohammed Abubakar. Punch Metro reports that the mobile policeman, Attah Aninoko, on Thursday dragged down Ogundele from an electric pole opposite the house and beat him up for disconnecting power to the house of the former IG. Former Big Brother Naija contestant, Gifty in this Snapchat post is calling out Nigerian celebrities for always using Ghanaian tune for their songs instead of our own local dialects. Media personality, Ebuka Obi-Uchendu and his wife, Cynthia stepped out yeterday in matching Tuxedos for Ifeoma Williams’ Michael Jackson themed 40th birthday party. Singer, Abiye David Jumbo popularly known as Mr. 2Kay was robbed at gun point in his hotel room at Eko Hotel and Suites, Victoria Island, Lagos. According to a statement by his record label, Graftin, the incident happened at about 11pm on Sunday, October 22, 2017, during the Buckwyld and Breathless concert where he also performed. This is one heartbreaking story. 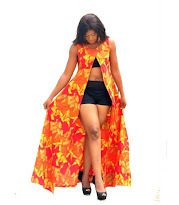 A Nigerian lady, Tosin Adeoye took to Twitter to narrate how she almost got engaged to a married man whose family was abroad. Facebook user, Ogirima Nana Sule, shared this heartbreaking video of a civil servant and his wife who just lost their daughter due to lack of money for hospital bills in Kogi State. According to him, Kogi state government is owing him 10 months salaries. This pre-wedding photo of a Muslim couple at the beach is currently going viral for obvious reasons!